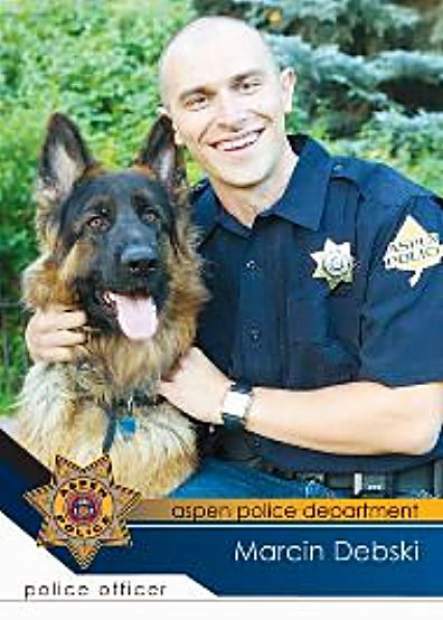 An Aspen police officer accused by a teenager of threatening to kill him last month will return to duty after the District Attorney’s Office declined to file criminal charges against him, authorities said Friday. Officer Marcin Debski, whose conduct was vetted by the Colorado Bureau of Investigation, will face disciplinary measures, Aspen assistant police chief Bill Linn said, though he declined to specify what they are. In a phone interview Friday, Debski said he never threatened the teen and was only trying to protect his daughter from interacting with him. The father of the teen, however, said he still believes Debski threatened his son, who offered to take a lie-detector test to prove he was telling the truth. The 17-year-old at the center of the drama is involved in two recent drug- and alcohol-related cases investigated by Aspen police and the Pitkin County Sheriff’s Office. One involves teens who allegedly broke into a downtown hotel Jan. 3 and stole alcohol, while the second, which grew out of the first, centers on an Aspen High School senior and his parents accused of giving alcohol, cocaine and other drugs to minors. The 17-year-old is currently facing several felony charges in Pitkin County District Court related to the first case and others. As part of court-ordered supervision, the teen was at the Pitkin County Health and Human Services Building on March 22 taking a drug test when he said Debski spotted him in the lobby. Debski, who was armed and wearing his APD uniform, followed the young man to the bus stop and asked if he knew him, the teen told the Times in March. When the teenager said he didn’t, Debski asked if he knew his daughter. The teen then asked her name and said he did know her. Debski told him he was speaking to him as a father and didn’t want him talking to his daughter. “Then he said, ‘I know who you are and if you talk to her again, I will find out and I will f—ing murder you,’” the teen said in a written statement submitted to the sheriff’s office. Debski said Friday that the account is accurate, except for the threat, which he did not make. A CBI agent interviewed Debski, the teen and his father in the course of investigating the event, according to Debski and the father. “Moreover, I am reasonably certain that Officer Debski told (redacted) to stay away from (redacted) and that he may have said, ‘Stay the f— … away from (redacted),’” Cheney wrote in the letter, which APD released Friday. However, Cheney noted the teen told the CBI agent Debski never raised his voice, did not touch him and, while he spoke in a stern voice, remained calm, according to the letter. Finally, Debski’s credibility was further enhanced when he adamantly insisted he didn’t make the death threat despite being told by the agent of the presence of witnesses and the possibility of a recording, Cheney wrote. “In short, the evidence is insufficient to form probable cause that any criminal offense(s) occurred,” Cheney concluded. The teen’s father Friday said none of the witnesses at the bus stop on Castle Creek Road heard Debski because he was inches from his son’s face and spoke quietly. Further, Debski had no professional reason to follow his son in the first place, he said. Debski said Friday the teen was never threatening toward his daughter, but declined to talk further about why he felt the need to speak to him that day. “I shouldn’t have done it in uniform,” Debski said. Debski, who has been on administrative leave since March 22, said he will likely be back on patrol duty in the next couple weeks. “It’s definitely a relief,” he said of the end of the investigation. Aspen Police Chief Richard Pryor has said that up until the complaint from the teen, Debski’s record with the department was “exemplary.” Debski was previously a Pitkin County sheriff’s deputy.